We often feel as if we lack the energy for all the obligations that we must meet in one day. 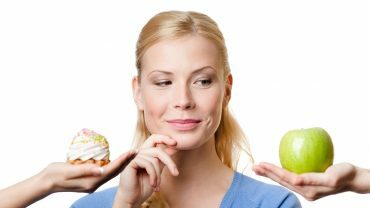 That can be further aggravated by the food or drinks that we take during the day. Always in a hurry, we grab the first thing that comes to hand, most often unhealthy snacks and sweets, soft drinks, coffee, etc. We present to you an easy and healthy drink that you can always have with you in a bottle when you need refreshment or if you want to increase energy. 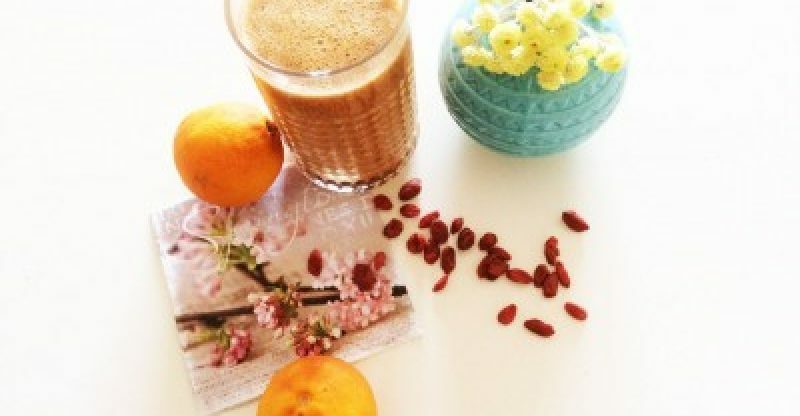 This smoothie with orange, banana, goji berries and camu camu powder, will give you a long-lasting feeling of satiety. Banana is the queen of fruits for raising energy, and can be combined with almost any fruit and vegetable and is the best base for a smoothie. Oranges are rich in vitamin C, folic acid, vitamin A, potassium, calcium and fiber. Together with other types of citrus they are one of the most powerful cancer fighters, and also elevate mood. An orange a day can improve the appearance of your skin and hair, and it’s really a good reason that you consume them daily. Goji berries are among the most powerful and healthiest berries in the world. It’s a high-energy superfood from the Himalayas which contains the greatest amount of antioxidants, amino acids and essential fatty acids. They are rich in iron and vitamin C, and have the ability to strengthen immunity, can slow down the aging of the organism, have an antibacterial and anti-inflammatory properties, improve vision, and can improve the fertility. They call them even “red diamonds” or “happy berry” which certainly justifies their effects! Camu camu is the richest source of vitamin C in nature (12%). This incredible fruit is rich in antioxidants, amino acids, vitamins and minerals making it the ideal food for strengthening the immune system and increase energy. Put all the ingredients in a blender, mix and decorate as desired. You can add frozen strawberries or raspberries instead of ice for an even better taste!